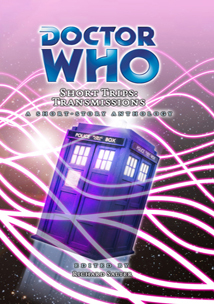 An anthology of brand new Doctor Who short stories, surrounding the first eight incarnations of the Doctor. Features Lonely by Richard Wright (Big Finish Productions 2008). Unfortunately, Short Trips: Transmissions is now out of print from the publisher. Copies may still appear with other retailers, but they won’t be updated here – good luck finding one!